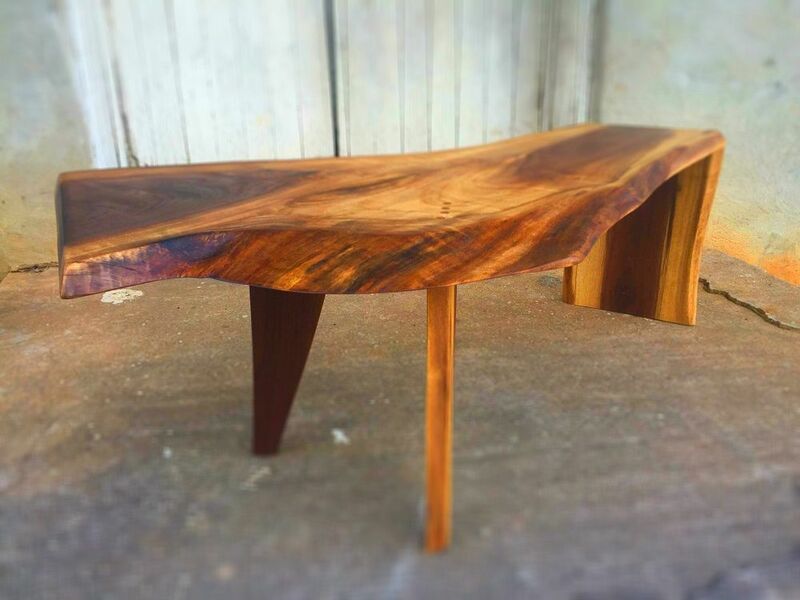 Custom made cocktail and side tables with live edge form. Several leg/base options available. Solid Walnut with oil finish.